Two years ago, Rap and I were invited to attend an event where Global Art was one of the exhibitors. For a few minutes, Rap was taught the proper way of coloring and shading colors. We were so happy with his work but we were not able to enroll him in art classes that summer. Last Wednesday, Rap had his chance to attend a Global Art session again. 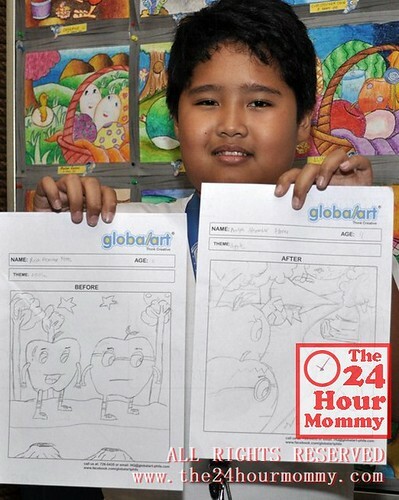 This time, he attended the session at the Global Art headquarters in Greenhills with the kids of 4 other mommy bloggers. 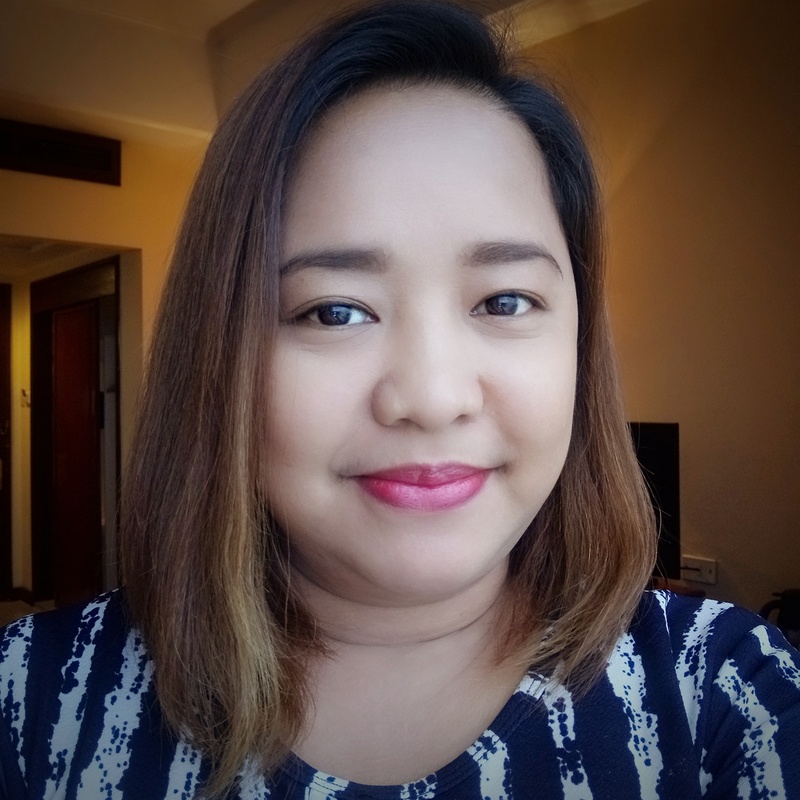 While the kids were in the other room for their art session, us moms stayed in the other room to listen to Teacher Yenny Saw who oriented us with the history and art programs of Global Art. 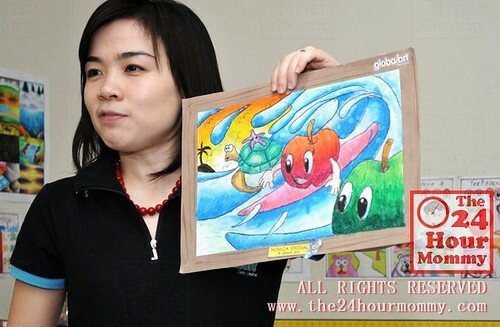 Global Art was founded in Malaysia by Mahair Goh in 1999. Since then, branches have been put up in 16 other countries which include Singapore, Indonesia, and the United States among others. 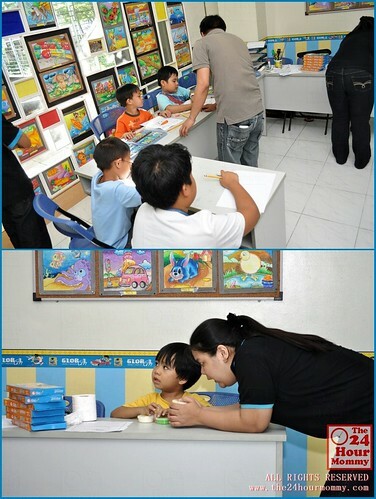 In the Philippines, Pinoy kids can now enroll in eight Global Art centers. 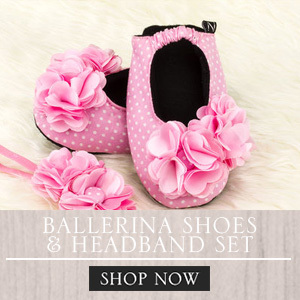 Foundation Level 1 to 4 (ages 4-6 years old) - Concept of colors and shades through simple themes with dotted lines. Basic Level 1 to 3 (ages 7-10 years old) - Creative drawing will be introduced while learning various art techniques. Intermediate Level 4 to 6 (ages 10-12 years old) - More art techniques are introduced through more difficult, human figure-based themes. Works of students are graded according to this 6-point checklist which are basically the art skills that students will learn and develop in each exercise. For advanced level art students, Global Art also offers Sketching, Painting, and Illustration classes. 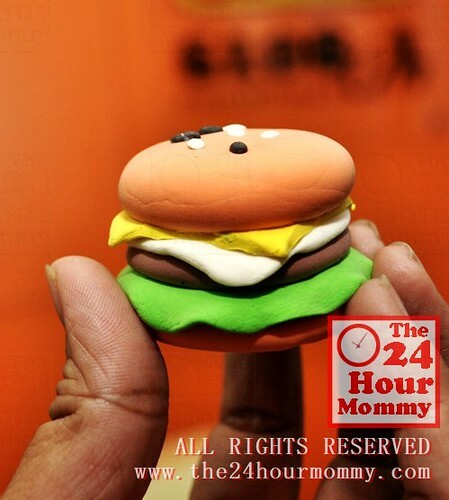 There's also Cartoon and Comic (ages 7 and above), G-Clay, Crafts Projects, and Acrylic Painting. 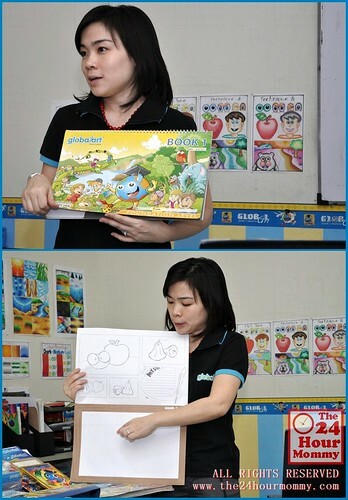 Before Teacher Yenny's presentation ended, our kids' artworks were shown to us. The younger kids were taught color shading while the older kids were asked to write a short story and draw a scene to illustrate it. Rap's story was about two apples strolling in the forest. As you can see, the second drawing is better. 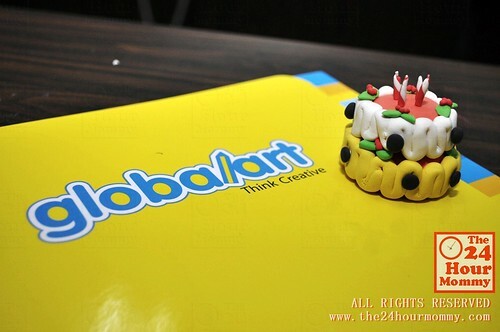 The kids were also given Global Art's special clay for molding. Rap made a cheese burger out of his share of clay and it looks so good that I already attached a button magnet on it and made it into a refrigerator magnet! 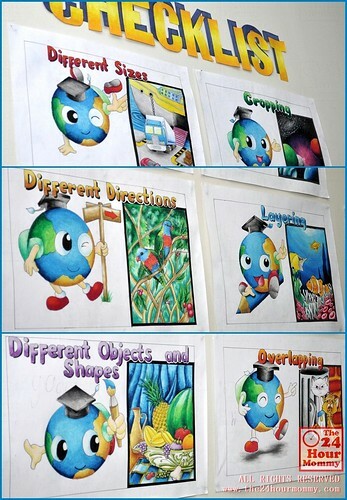 This summer, have your children relax while developing their art skills through enrolling in Global Art classes. 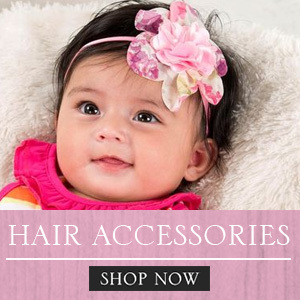 For more information about their branches and programs, you visit the Global Art Philippines Facebook page or its Global Art Philippines website. 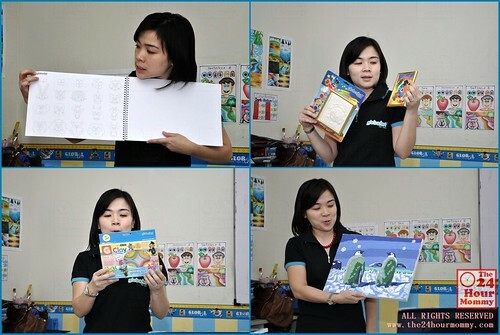 Special thanks goes to Global Art Philippines and mommy blogger, Rowena Lei (Animetric.blogspot.com) for inviting us! this is really nice activity this summer. ang layo lang sa amin and di pa 4yrs old son ko. we love Global Art! my daughter is almost finished with her free 1 term and she has definitely learned so much!